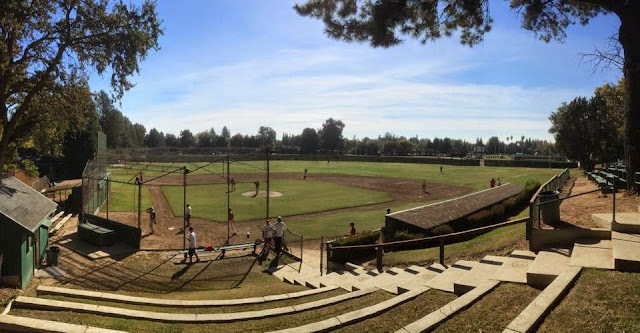 I spent Saturday morning watching a Jesuit intersquad scrimmage. Rather than play fall baseball like they did last year, Jesuit has switched the program to winter baseball. This is something that Coach P talked about last February. At the bat, Jack was 1 for 2 with a walk and a single. In his first plate appearance, he walked. Staying to continue the bat, Jack had a nice single into right center off of Wolger. Jack struck out swinging against Child in his second plate appearance. In the field, Jack was playing left field. He had one put-out. Jack made a nice play on a ball hit to the fence in left center. Getting to the ball quickly, he made a nice relay to Mikey playing shortstop. Mikey made a throw to home to get the runner trying to score.